MIBS formed in 2003 was funded solely by private investment. The company is dedicated to creating a network of diagnostic treatment centres in the Russian Federation with the purpose of fully supplying the public with highly technological methods of diagnostic and treatment. First privately owned magnetic resonance imaging centre started seeing patients in August 2003. First regional centre opened in 2005 in the city of Tver. Every year since 2005 we extend our network by 10-12 centres. Today more then 80 MIBS’s centres are located in over 59 Russian cities, from Kalininrad to Krasnoyarsk, Ukraine and Armenia. 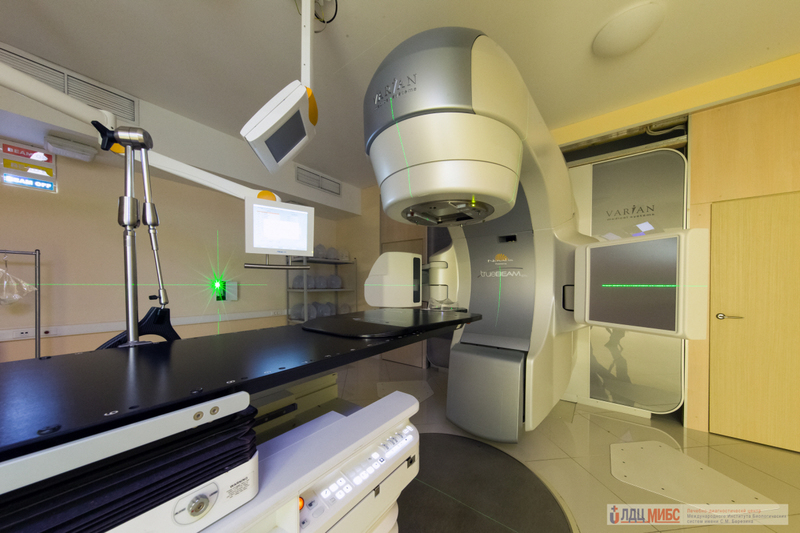 The first in Russia private comprehensive cancer center treats patients from 2011. All MRI centres are merged into a single telemedical network and are equipped with high field MRIs produced by Siemens, an undisputed leader in medical equipment manufacturing. Our teleradiological network, the largest in the Russian Federation, joins up all the company’s diagnostic centres. The Saint Petersburg consultation centre employs physicians with immense experience in diagnostic field. Any physician, working anywhere in the country, has the opportunity to consult his colleagues in Saint-Petersburg. The Saint-Petersburg centre receives, without a doubt, the most complicated diagnostic cases. Every day physicians working at this centre answer questions that a regular doctor only encounters a few times throughout his career. Consulting the colleagues on most difficult cases gives those physicians the opportunity to accumulate valuable experience. MIBS is the leader in providing high quality images and interpreting them. It also carries out the most examinations in the country. In 2003 the association examined 8000 patients, 59 000 in 2005, in 2007 over 300 000, in 2012 - 1 100 000. In 2013 our MRI network will be extended to 80 centres. Waiting lists have been eliminated in the cities with our presence. Even in the absence of public funding we maintain prices lower than those in the government diagnostic-treatment centres. Today 40% of our patients belong to preferential categories. Total amount of discounts only in Saint-Petersburg is estimated at 15 million roubles a year and at over 100 million roubles a year throughout the country. Radiosurgery is another field where MIBS assumes leading positions in the country. 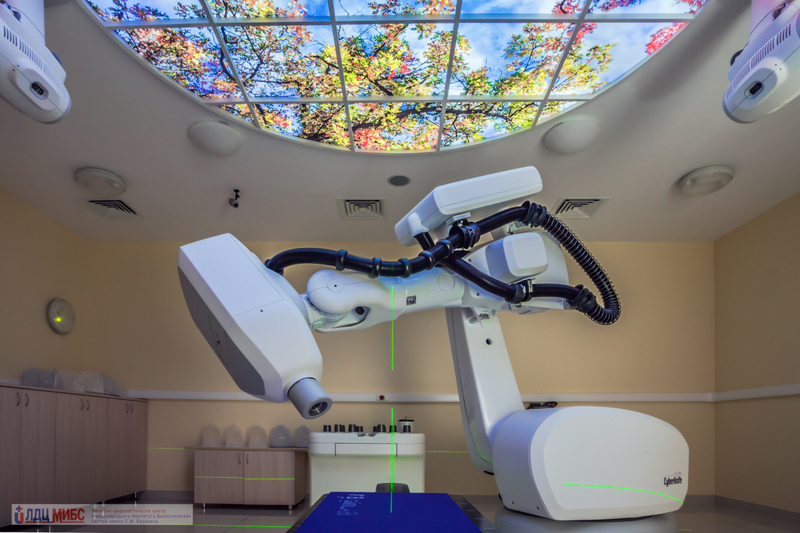 In spring 2008 the company launched its first radiosurgery/radiotherapy centre located outside of Saint-Petersburg. 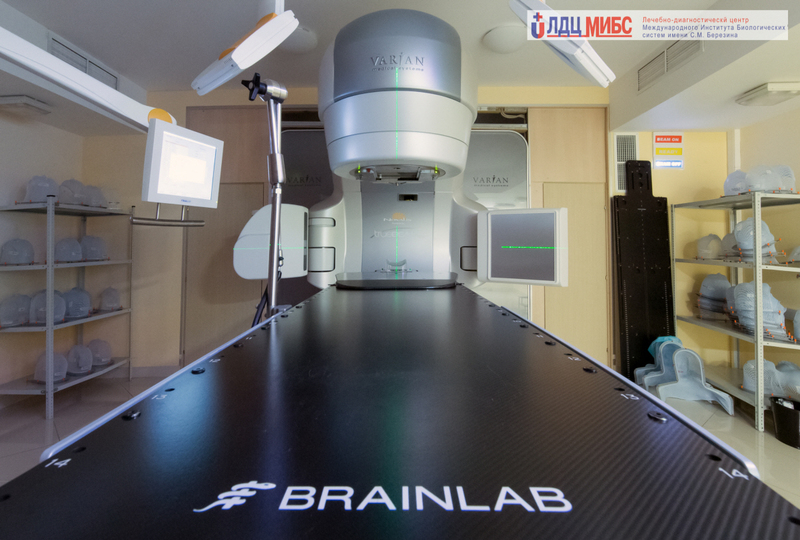 The center is equipped with the most modern medical equipment including “Gamma knife” – golden standard machine in neuroradiosurgical field, Cyber Knife and other modern equipment. During our first year the physicians have performed over 300 radiosurgical procedures, which constitutes half of what has been performed within the country during that period. In February 2011 we welcomed our thousandth patient. Now we have more then 4000 radiosurgery cases experience. In 2009 we opened a full service diagnostic centre in the heart of Saint-Petersburg. This centre features not only high field MRI but also Siemens VERIO MRI 3T, Siemens Sensation 64 Multispiral CT and digital monographer. Under supervision of leading German radiologists physicians working at the centre have mastered newest radiological techniques including operating and interpreting data collected on high field Siemens VERIO 3T MRI. In 2010 we opened our first centre outside of the Russian Federation. The centre is located in Kiev, Ukraine.